How to solve factor tree method? 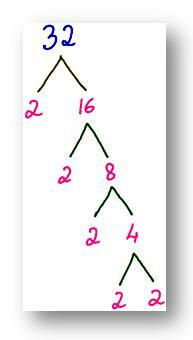 Remember: To start solving follow the steps of factor tree method. (i) Find the factors of 32. This method helps you to learn your tables. Therefore, the factors of 32 are 1, 2, 4, 8, 16, 32. (ii) Find the factors of 28. Therefore, the factors of 28 are 1, 2, 4, 7, 14, 28. 1 is a factor of every number. The number itself is also a factor of the number.